Ever dreamed of having one of those bare bones performance delivery type of bike, but with an electric motor that was anything but in your face? Enter the perfectly designed and proportioned Propella e-bike. I first saw the Propella electric bicycle (e-bike) at the Los Angeles Auto Show in 2017. It literally stopped me in my tracks. It was thin, elegant, and it took me a second to see that what looked like a water bottle was, in fact, a battery on what essentially looked like a light fast city bike. And the best part about it is that I hadn’t heard about it nor was I looking for anything specific. It chanced on me. 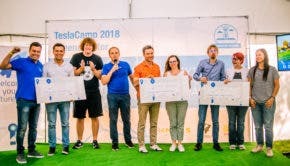 Then I met Ben Tarassoli, founder and CEO of Propella, and understood a little more about how the company was created. 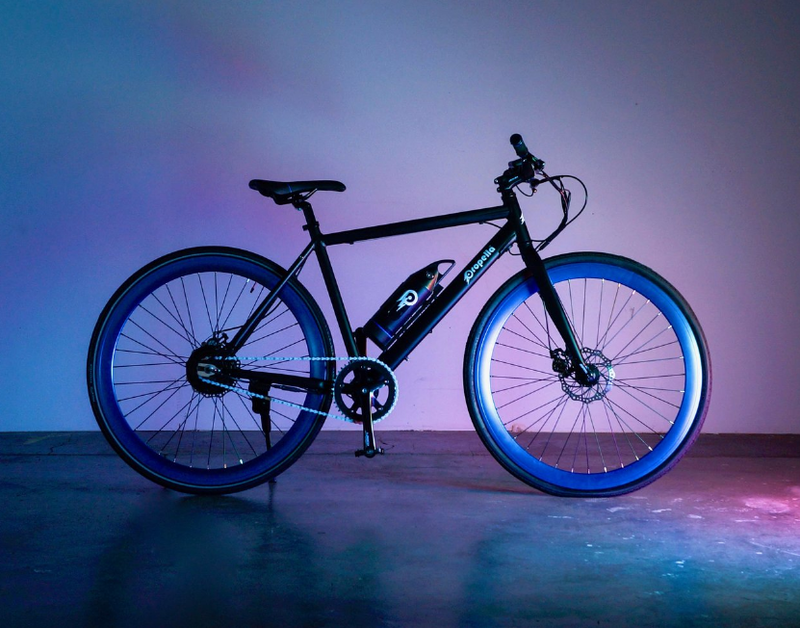 What do you do when you really want a bicycle but you wouldn’t mind a well-integrated electric motor and nothing too crazy? You get the Propella e-bike. Well-balanced with a terrific aesthetic design, the Propella looks like a regular city bike and dissimulates the battery pack and electric motor it hides in plain view. The idea grew from the desire of wanting something sleek that wasn’t foremost an e-bike, at least, not the way we see them today. Today’s e-bikes are great but they all more or less suffer from the same problem, weight. 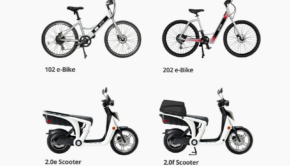 Although purchase price is the next point of contention, a light e-bike usually suffers from poor quality and workmanship. Not so for the Propella that manages to come in at $1,200, setting a new record for affordable performance, a segment sorely lacking in e-bikes. And when I got on it, I discovered a bike that was thought of first and foremost as a bicycle, then as somewhere a light and discreet electric motor and battery could be incorporated in an elegant, yet functional way. The result is an impressive e-bike that stops you dead in your tracks wondering what is different about this bike. The Propella was designed out of a necessity of pure design and aesthetics with technology enhancing its natural state. And this is what the team managed to give us, a perfectly well-balanced bike that I could let go of the handlebars in less than a minute of having fun with it. Who is it for? Certainly, the Propella will appeal to those in their 20s who still want fast, light, stripped down, bare-bones fun, but who perhaps are drawn to the electric factor. Another crowd would be those that need a fast e-mobility solution, as the Propella certainly is that. Lastly, I would say anyone out of shape wanting to get bike into riding would find the Propella an excellent means of getting on a bike seat. 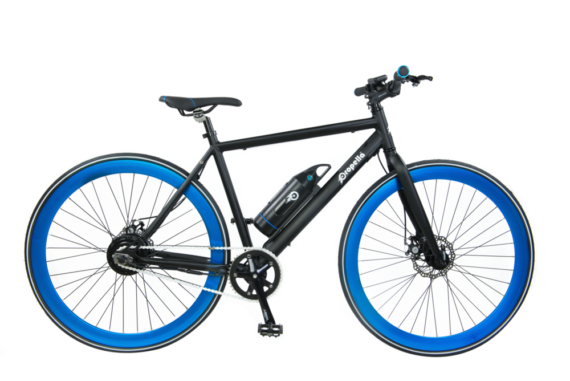 Propella offers a choice of a single-speed or multi (7-speed) e-bike. And at 32 lbs, the Propella is really made for fun on the road and street carving. Its thin tires carve through the streets and are very unforgiving at the first sign of road deterioration. Bumps will be sharply shared with the rider but the precision of the tires is undeniable. What you give up for in comfort, you gain in speed and precision. The feel of a Propella ride is unlike anything another e-bike might have set you up with expectations. The Propella is different. You just don’t feel you’re on an e-bike. It doesn’t look like it and doesn’t feel like it. And when you start to pedal, it still feels like a normal bicycle. For all intents and purposes, it is a sleek city commuter with a well hidden electric motor and battery pack. For the most part e-bikes all feel the same. They are a little on the heavy side and make it up with an electric motor. The higher you go in price, the better the feel, handling, and features. When it comes to entry-level, the choice is poor and limited. 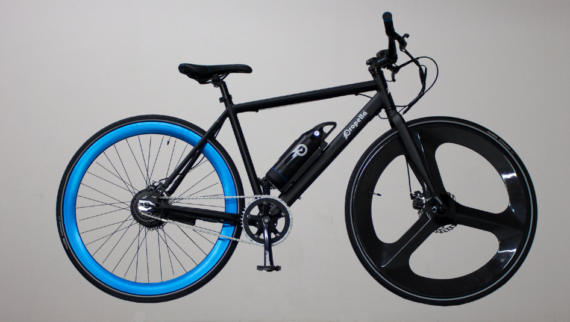 The Propella tackles e-bikes from another angle than of nice, sleek bike with electricity. It’s a fine line, but a very noticeable one when you ride the Propella. In a day and age of beer crafting and other trendy select fashionable spots in town, Propella rightfully chose to design what it thought is foremost a bicycle that just happens to have an electric motor. Simply put, the Propella makes you forget you’re on an e-bike, and should you run out of electricity, pedaling home is no problem at all. The Single-Speed is still available starting from $999, with the 7-Speed starting at $1,199 and topping off at $1,399.00. The Propella family is growing, and that’s why each new iteration could climb up in price. But what you get is perhaps the biggest bang for your buck at this moment. A light, fast, slim, sleek city carver that also happens to have an electric motor. The Propella e-bike flat out wins our five plugs award for 2017 and we feel it will do the same this year. It is the Apple of the e-bike world, especially at the early age of flawless Apple execution, a thing of the past these days. Considering the design, the feel, the performance, the look, and simply the handling, nothing to our knowledge comes close to the Propella.